Lots of kids have a talent for trouble. But George and Harold also have a talent for drawing funny cartoons! 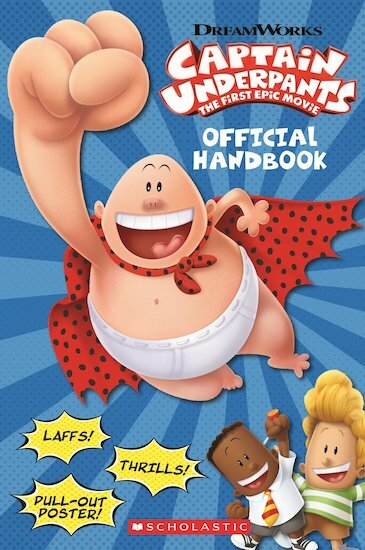 When their daft cartoon strip comes to life and turns into Captain Underpants, a super-silly legend is born! And now heroic waistband warrior Captain Underpants is hitting the big screen to defend truth, justice and all things pre-shrunk and cottony. So YOU need this cool movie handbook – your official guide to George, Harold, the Captain, Mr Krupp, Professor Poopypants, The Turbo Toilet 2000 and everything else. Tee hee hee!